It has been over TWO WEEKS since my last confession. No, I'm not a recovering Catholic, I just thought that sounded like a nice opening line. Boy, time sure flies when you are moving an hour away. I feel really bad I haven't kept up with the headlines, but honestly, not much has happened in the SCA lately. Well, other than Sir Bela Kos winning Outlands Crown Tournament and a run down to Dragonsspine for "Shake the Midwinter Blues." So, my SCA life is on hold until I can get all my garb unpacked. Looks like I won't be making it to Feast of Fools this weekend, either. The truck for the last big furniture trip to Denver comes on Saturday morning. After that I'll be waaaaay too pooped to even consider driving over 2 hours for an event. Well, here's the list of amazing things I found online in the last couple of weeks. Boy, is Middle English a tongue twister. Chaucer's Blog is a bit tedious on the eyes, but whoever is writing this blog is funny. And has way too much free time. 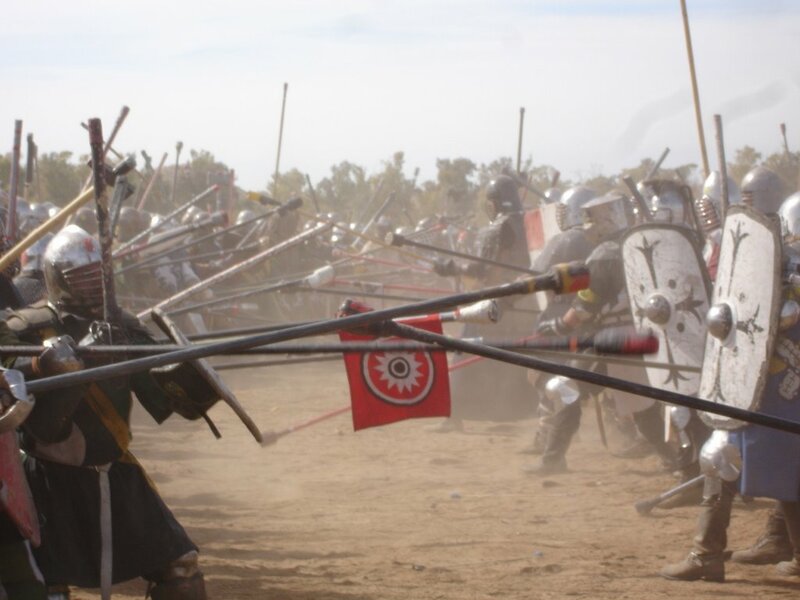 A battle from the Middle Ages rages in Socorro almost every Saturday. New Mexico Tech serves as home to the College of St. Golias, a group that studies and practices the customs of medieval times as part of the international Society for Creative Anachronism Inc. Does Rogue Camp need a permanent treehouse? Check out Instructables.com Treehouse Plans. Click the orange 'step>>' button under the image to see how it's done. If you are like me building with prims in Second Life is like trying to learn Swahili from a cat. But this handy article about applying textures on individual object surfaces clears up so much. 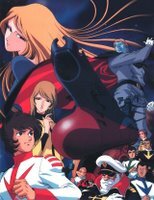 Star Blazers!! Did you watch this as a kid?? 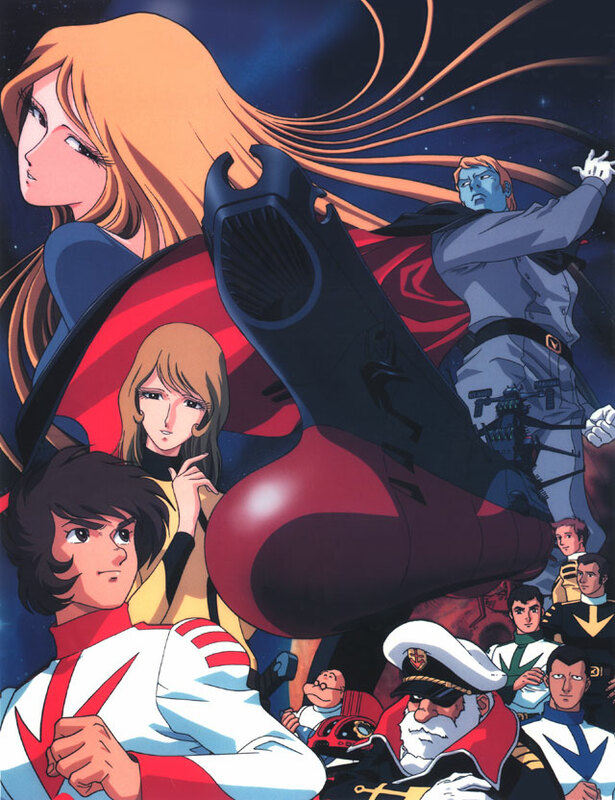 I remember racing home from school so I wouldn't miss a single minute of Star Blazers. This was my very first exposure to an animation style that would later be dubbed "Anime" and end up reaching cult status. And next time I have a spare $300 lying around, I'll be buying seasons 1-3. I'm sure they won't be nearly as cool as I remember. Hey, I was TWELVE. Give me a break. At least it isn't Pokemon. Cate Blanchett will reprise her role as Elizabeth!! An upcoming sequel promises more finery, and being set 15 years after the end of the first movie, one can only guess at the intrigues and plot twists we'll be lapping up at the theatre. Could opening night be an opportunity to wear my Red Dress? Hmmm...yeah, maybe if I want to stand through the whole movie. I can't see that gigantic hoop fitting into a movie seat. And because I love embedding video in my blog...check out these kids loooong fight scene. Their choreography is AWESOME.